All products must be returned within 30 days of receipt. Credit can only be given if the product is in new, re-saleable condition. Specials/customs are non-returnable. Height adjustable workstations and chairs were color of table top or fabric is specified are considered custom orders. Products that require assembly or installation may not be returned for credit, if assembled or installed. You must notify us by fax, phone or e-mail within 10 days of receipt of your order of any problem with your order to receive a Return Merchandise Authorization (RMA). Our Receiving Department will not accept returns without an RMA. 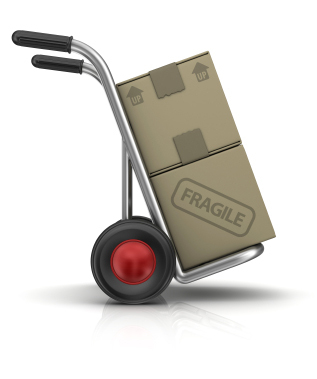 Claims for product damaged on the return shipment are the responsibility of the shipper. A 25% restocking charge will be assessed for returned products which are not defective. A full refund will not be issued for all defective products. If an order is cancelled before production begins, Rehab Solutions will halt processing of the order at no charge. All cancellations are subject to a cancellation fee of 20% of invoice. Special products (customs), i.e. adjustable work stations, cannot be cancelled once in production and are non-refundable. When returning a product use the original shipping carton the product arrived in. If the carton is damaged, use a comparable shipping carton. Do not tape or write on the inside package the product may be contained in.